If you are arriving by car, please remember that there is no parking outside the loft so any sails, covers etc you want to drop off, make sure it is ready to collect instantly. 1: From the North you can only walk as the road is one way. Passing Caffa mill car park on your left, walk 400-500 meters in to town leaving the lifeboat station on your right. You will see us on your left. 2: From the town (South), you will walk past Albert quay car park/pontoon on your right and approach the post office bearing left then right and you will find us on your right opposite Picky Murphies cafe. 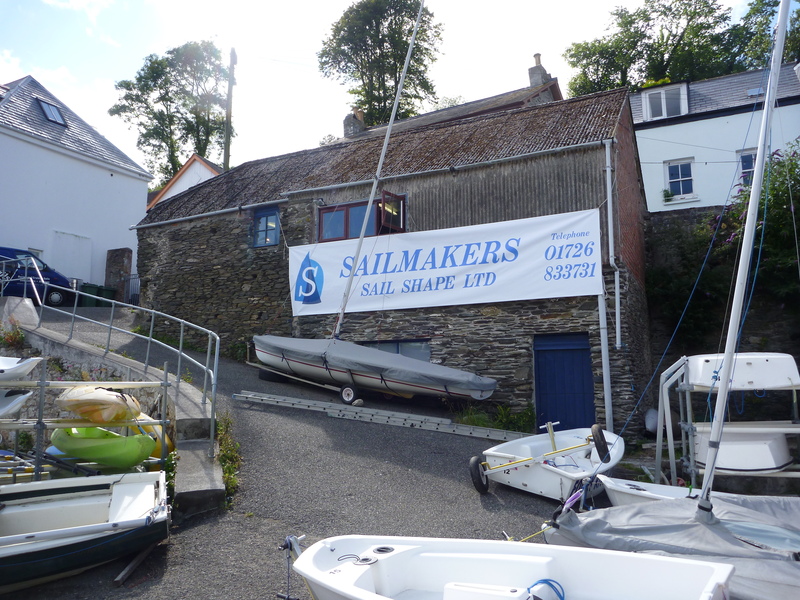 3: From the water you can drop heavy sails, covers etc at our slipway which is only 10 meters from the loft. By water the loft is equidistant between the two pontoons behind a green dinghy launching slip. Ring through and we will meet you to collect. The slipway is only a drop off point, no staying as this is a very active slipway. Remember at low spring tides, its very muddy so use pontoons.